A biography always begins somewhere in time and that time began for Don Rath Jr on January 14th 1956 in a small suburb of Cincinnati Ohio. A healthy lad was born to this world on that day who would later become a contemporary chamber music composer, arranger and guitarist. The road had indeed been long and contained many twists, turns and detours. Thankfully, for all of us, there had been a few rest stops along the way! Time to recuperate, heal, think, plan and to begin anew. Don Rath Jr was raised on a dairy farm in northern Illinois. As a toddler, he would sit in awe listening intently while his Mother played amazing music on a small Hammond organ. It was from this early impression that he began to pursue his interest in music. The biography of a composer must begin at the opening of his or her musical life including that of their respective application of music through playing and performance. During his fourth year of grade school, Don began to play an instrument known as the flute-o-phone and later the cornet. During his freshman year in high school (1970) he was introduced to the guitar by one of his close friends. After a few guitar lessons, he began to pick out some basic musical ideas that were later to become his first musical compositions. It was from these beginnings that music became his prime passion and interest for personal expression. He continued to play guitar for many years until life’s influences caused him to put his musical aspirations on hold. Most people who put down their instrument due to life’s progression typically do not continue and likewise, this biography would not be necessary if Rath had not decided to begin again. Then in 1990, he began to play again, this time with much more passion and interest. He taught himself to read and notate music and he began the study of music composition. A left hand crush injury in 1993 caused him to realize the importance of formalizing his hand written original music. Fearing the inability of being able to play the guitar, he used playing it to his advantage, as physical therapy. Not permitting multiple surgeries to keep him from his musical pursuits, Don continued to practice the guitar, study music, compose and he taught himself how to notate music. 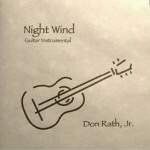 Night Wind was the first of Don’s CD Projects. In the midst of the 1993 great flood in St. Louis, again he was interrupted in his efforts to complete his first goal of recording his original debut album. Then in 1997 he was able to complete his first demo CD titled Night Wind, a collection of 19 original short pieces for solo guitar. This album was never formally released to the general public. For the next nine years he continued learning music composition and to practice the classical guitar in his home studio. He had purchased his first computer primarily to enable him to notate his music using a computer based program called “Rhapsody“. This started his “digital” music quest putting him on a journey of computer music that continues to this day. This part of Mr. Rath’s biography is little known by many as he spent the majority of this time in a make-shift studio in the basement of his home in Rockford Illinois while maintaining a full time professional career as a salesperson. Within the biography of any person, significant events occur which alter one’s path and therefore the biography is amended due to such events. If the hand injury was not enough to stop Mr. Rath from pursuing his musical dreams then there was no stopping him. In this case, another significant event shaped the course of his musical life. The loss of his mother in late 2005 was another important turning point along his path which had a profound influence on Don, as one would guess. In fact it was so significant that he completely changed his overall musical focus. His new goal was modified to include establishing himself as a composer of classically based chamber music for the stringed instruments. The emotional impact over the loss of his mother was transformed into a powerful creative driver which resulted in the completion of over new 40 titles in 2006 alone. Additionally, one of the primary and resulting effects of this highly emotional event was that he had moved from writing on and for the guitar exclusively to composing and arranging music primarily for the string quartet, string orchestra and small group ensembles. As his musical studies were applied to writing string quartets he discovered and learned about the woodwind family of instruments, introducing oboes, clarinets, flute and the piccolos in his compositions. 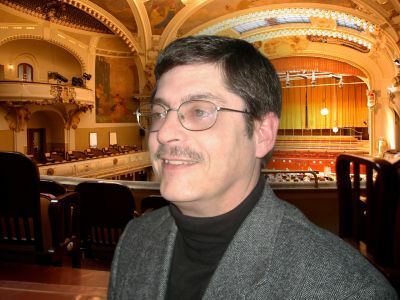 Don states that, “writing for small group ensembles, intermixing instruments from the Woodwind family to dress up the string sound produces and broadened his skills as a composer. His music fits nicely in the chamber music genre where acoustic instruments are the focus rather than electrified instruments. Ambiance and emotion are two of the main characteristics of the sounds Don is producing. Additionally, he is currently working on completing his first major work for full orchestra titled “Old Ironsides” along with several additional pieces for the string quartet as well as others for small group ensembles. His collection of work continues to grow evolve both in sonic beauty and in the quality of his music. Modern computer technologies have continued to play an important role in creating, notating, producing, publishing and distributing his music. A turning point came late in 2006 when he met Allen “Big Al” Wagner of BigToeStudio on the Internet. Allen expressed an interest in providing CD mastering services. This relationship sparked the enthusiasm in Don and together three Cd’s have been created featuring Don’s music. Thanks, “Big Al” for all you have helped me with through these past few years. I know, I know, Lava lamps RULE! The modern digital age opens up new dimension in the biography of Don Rath Jr. Most of the music that he writes originates on the classical guitar using a pencil and a blank piece of manuscript paper. As a guitarist, he finds it easiest for him to begin new compositions writing out the melody line using the guitar. The classical guitar is Don’s instrument of choice. Usually and after that, he uses Sibelius notation software, East West computer virtual instruments and sound samples (as the sound source for the instruments), Steinberg’s CuBase software and Native Instrument’s Kontakt. To finalize the composition and to produce the final masters he uses Steinberg’s Wavelab software. Also, this is where “Big Al” comes in. 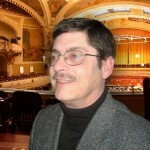 Collectively, with the Internet and high-end computers they have enabled Don to fully realize one of his long term goals, that of professionally producing his music for public display. The piece still missing in the totally complete music production cycle are live performers and “real” instruments for recording the performances of his original creations, as a Composer. Don longs for the day when this goal will be met and yet, for now, he continues to compose waiting for that day when his dream can be fully realized. Fortunately for all of us this biography is not over nor is his efforts to get his music formally recorded. That day will hopefully come into being soon for all of our benefit. 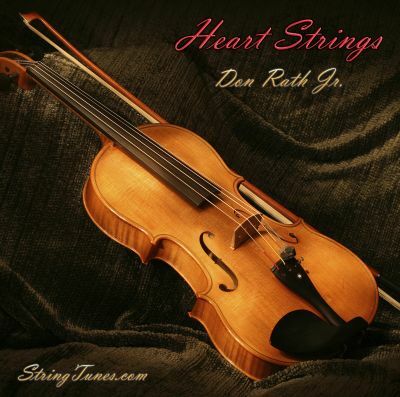 It is from comments like these that Don Rath Jr remains motivated and it is what made it possible to complete his debut album, Heart Strings which was released through his website StringTunes and simultaneously through CDBaby on January 3rd of 2007. Heart Strings is Don’s official debut CD! It is a collection of twelve musical compositions for stringed instruments and small group ensembles that weaves together the romantic and gentle melodies of multiple stringed instruments creating a soothing and unique sound. These lush arrangements make for a pleasing ambiance. After a long day at work, Heart Strings offers a quiet and romantic musical experience. Truly, music to soothe your soul! Heart Strings is classified as contemporary chamber music. Dawn of a New Day is Don’s second CD which was released on the first day of spring March 21st 2007. It is considered to be a companion CD to Heart Strings since the majority of these compositions were written in the same time period. The music in this CD are pleasing and relaxing string arrangements and some surprises for you. 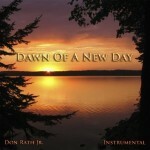 Dawn of a New Day is classified as chamber music, classical / orchestral and new age/ambient genres. 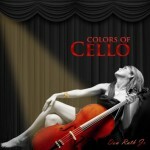 Colors of Cello, album number three, was released on the first day of spring but in 2008. This CD is a theme album featuring solo and duet cello works and a variety of duets arranged for cello and other instruments including the piano, viola, violin, clarinet and others! The lush cello arrangements and flowing melodies in this CD create beautiful soundscapes written to reflect the various “colors” of sound available on the cello. Colors of Cello is classified in the chamber music genre. His longer range plans include a remix and possibly a newly recorded version of his solo guitar pieces from his Night Wind CD, the production of three additional original chamber music or instrumental music albums, music notation books for each of them. As mentioned earlier, this biography is not complete nor is the life of composer Don Rath Jr. What new advances will be made moving forward that will add to this biography and when all is said and done what will his complete biography read like. We must all wait and see. 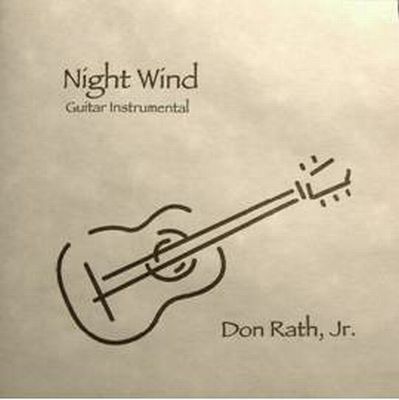 For more information expanding this biography about Don Rath Jr and his music please see the following pages on this site. 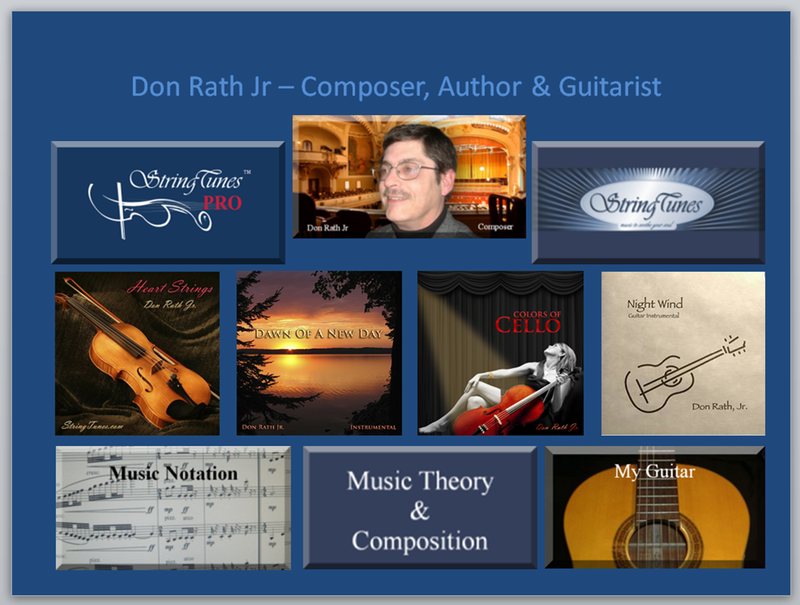 Please feel free to visit me on Google+ at my Don Rath Jr profile.